A defining, classic album from Progressive Metal pioneers. Before hair mousse and mascara ruined hard radio music for good, American Prog Metal gods QUEENSRŸCHE unleashed their second album ‘Rage for Order‘. It isn’t quite the awe-inspiration as follow-up ‘Operation: Mindcrime’, but, this restrained, expertly composed, performed, and produced collection remains a top Metal album. 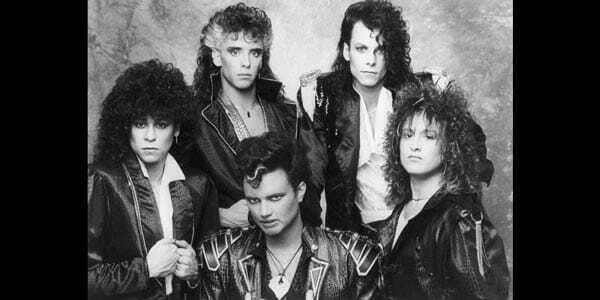 Forget any 21st century re-manifestations, this 1986 line-up remains the definitive version of QUEENSRŸCHE. Geoff Tate’s piercing voice has influenced generations of artists from all genres and with good reason. The harmonizing Guitar duo Michael Wilton and Chris DeGarmo and the rhythmic precision of Bassist Eddie Jackson and Drummer Scott Rockenfield complete the legend. In support, Producer Neil Kernon showed that Keyboards can, in fact, be a Metal instrument. Queensrÿche, circa 1986. Looking silly, but sounding phenomenal. The RŸCHE’s Progressive evolution on ‘Rage’ was fortuitous. Supplanting previous pioneers like RUSH and making Progressive Metal commercially viable (very briefly) for a new generation of discerning Metal heads. While everyone else was listening to crap from POISON and BON JOVI, the smart ones were listening to QUEENSRŸCHE. The inclusion of keys and vocal echo effects with the quick-stepping rhythms helped sell the fear the future themes that dominate. Intricate compositions and structures along with Kernon’s crisp analog production only intensify the hyper-tech Orwellian vibe. Eleven tracks, 46 minutes, nothin’ but net. “The Whisper“, “Neue Regel” and a powerhouse “Screaming in Digital” push a potent, enraged Tate out front high-tech effects and the twin guitar assault. While “I Dream in Infrared“, “The Killing Words“, and closer lament “I Will Remember” take on somber, reflect tones and oppressive, boiling under the surface instrumentation. The rising, battle ready “Surgical Strike” and album highlight supercharger “Chemical Youth (We Are Rebellion)” stir the soul and ready the rebel spirit. And while a sublime cover of “Gonna Get Close to You” may not necessarily fit in thematically the stylized slow-burn creep perfectly suits the mood. People bought QUEENSRŸCHE’s 1990 ‘Empire’ in droves, but this far-superior 1986 masterpiece has been left virtually unheard by comparison. 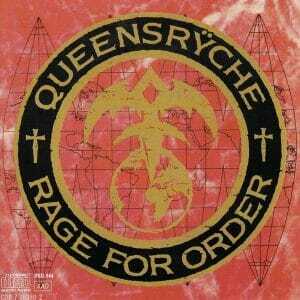 ‘Rage for Order‘ is one of the best of 80s Metal offerings and remains a Must Listen thirty years later. –P.S. ignore the silly label pushed “glam” marketing jacket photos, this is Prog Metal through and through. Geoff Tate at his absolute peak. A brilliant, analog production of the hyper-tech concepts. The simmering burn of “I Will Remember” and “Gonna Get Close to You”. Superchargers “Screaming in Digital”, “Surgical Strike” and “Chemical Youth”.